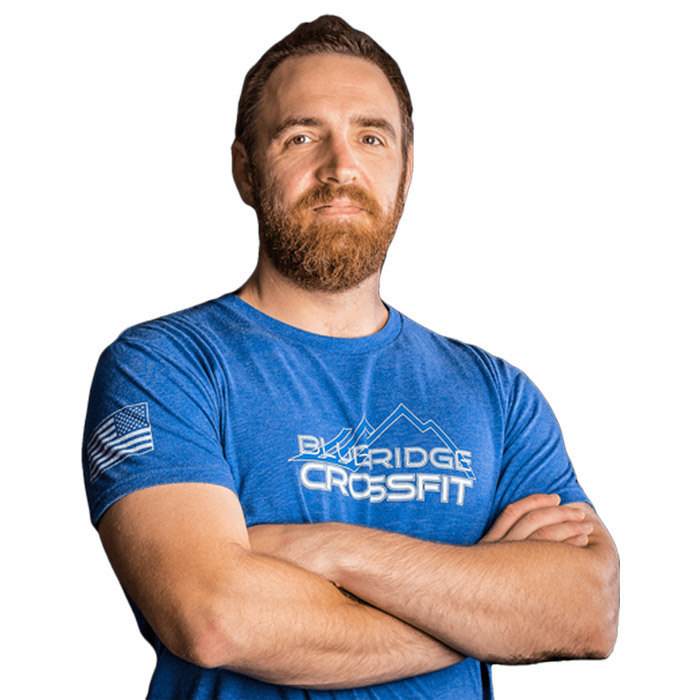 Ryan became a member of Blue Ridge CrossFit in 2015, and credits the BRCF programming and community for his renewed outlook on fitness and well-being. As a freelance web designer, Ryan spends far too much time in front of a computer, but his CrossFit training provides him with an efficient and enjoyable outlet for his physical nature. Growing up, Ryan was a baseball rat, often playing on as many as three teams during the summer, but after high-school, Ryan’s passion shifted towards outdoor activities such as whitewater kayaking, rock climbing, backpacking, and fly-fishing. Some of Ryan’s most memorable outdoor accomplishments include backpacking for 30 days in the remote Alaskan wilderness, kayaking class 5 whitewater in Mexico and British Columbia, and rowing an oar rig 225 miles through the Grand Canyon. Today, Ryan continues to enjoy his time outdoors, but also cherishes his time with his wife, Tia, and their two dogs. As a Level 1 CrossFit Trainer, Ryan hopes to share his passion for fitness, and the profound impact it can have in nearly all aspects of life. Philosophy: Eat good food. Move well. Train hard, but train smart. Apply fitness outside of the box. Never stop learning. Make time to relax. Cherish family and friends. Live a long, healthy, and fulfilling life.